2 columns. Written Area: 240 x 152 mm (2 cols + gutter). Number of Lines: 46 recto 49 verso. Width of Columns: 67mm. Line Height: 5-6mm. Columns Ruled. No numbering but recto marked by an 'R' in the bottom right hand corner and the verso marked by a 'V' in the bottom left hand corner. No decoration. 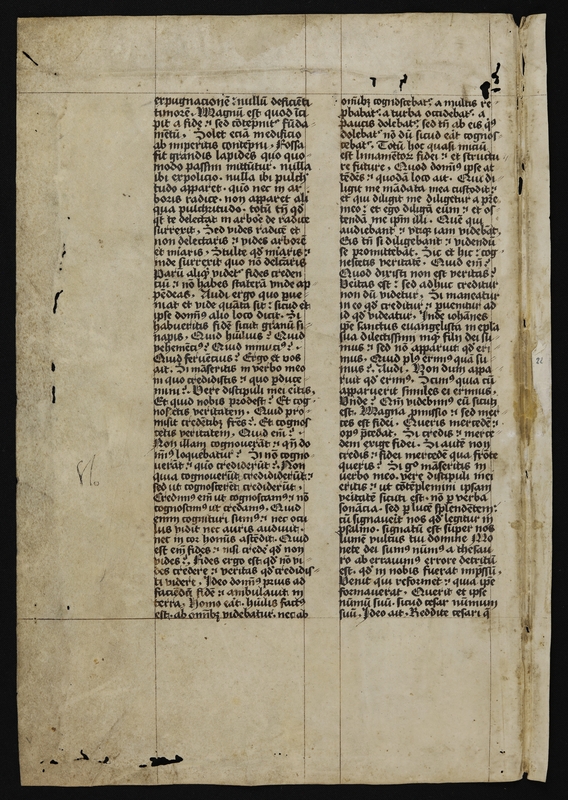 Content: St Augustine of Hippo, In Johannis Evangelium Tractatus CXXIV, tractatus 40, paragraphs 5-9. First line recto: explicare impossibile est. Si ergo. Last line recto: etinam stabilitatem nullam ab inmico. 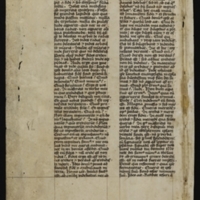 First line verso: expugnacionem; nullum deficienti. Last line verso: suum. Ideo ait, Reddite cesari quae. Have minimal notes from Rosenthal Booksellers and small note in German. Publications: Patrologia Latina, vol. 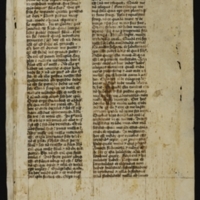 35, cols 1689(l.10)-1691(l.20); St Augustine, In Johannis Evangelium Tractatus CXXIV. Edited by R. Willems. 2nd edition. 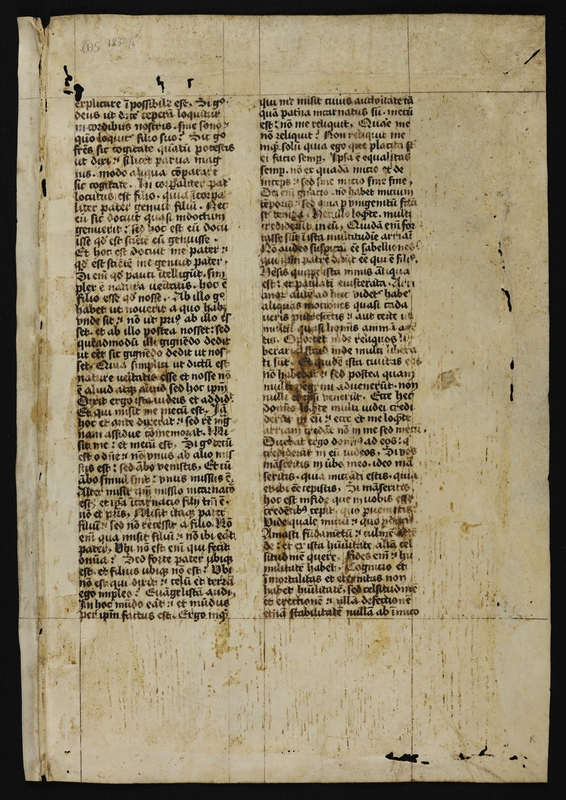 Corpus Christianorum Series Latina (CCSL 36). Turnhout: Brepols, 1990.